Tickets for the 2017 Boone County Fair will be going on sale next Monday, March 27. 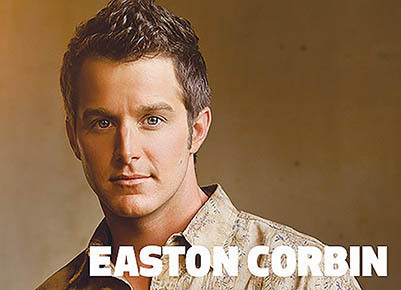 The fair country music concert on Saturday, July 8, will feature Easton Corbin with special guest Runaway June, and those tickets are expected to sell fast. Only a limited number of V.I.P. tickets are on sale for this concert, and they will be available on a first come – first served basis. The V.I.P. area will be directly in front of the concert stage. Tickets for the concert, as well as “Fun Books” for all fair entertainment events, will be sold at the Boone County Fair office on March 27. The office will be open from 10 a.m. to 8 p.m. only. The tickets are also available at the fair website, www.boonecountyfair.net. Tickets will also be available at a special fair promotion event on Thursday evening, March 30, at The J in Albion from 6:30 to 8:30 p.m., or by contacting fair board members. 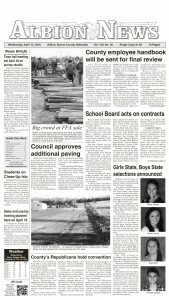 • Sunday, July 9, 5 p.m. — Tractor Pull, farm classes and Northeast Nebraska Pullers Assn. classes. • Monday, July 10, 7:30 p.m. — Combine Demolition Derby, Two-Car Chain Races and Trailer Races. • Tuesday, July 11, 7:30 p.m. — Racing: GOTRA, MCSCA, IMCA Stock and IMCA Hobby Stock Races. • Wednesday, July 12, 7:30 p.m. — More Racing: Sprint Series of Nebraska, Limited Late Models, IMCA Sport Mods and IMCA Sport Compacts.